We all need that space where we can hang our jackets, kick off our shoes and leave the day behind us. 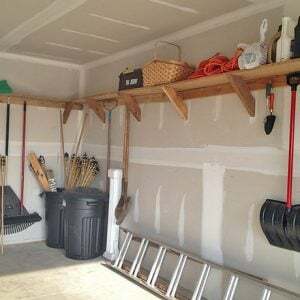 It’s especially nice if we can find a way to make that space neat and organized! The nice thing about coat racks is that not only are they functional, they are really homey, too. 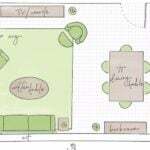 Any space that gives you a spot to take off your coat and stay awhile just says “welcome”. 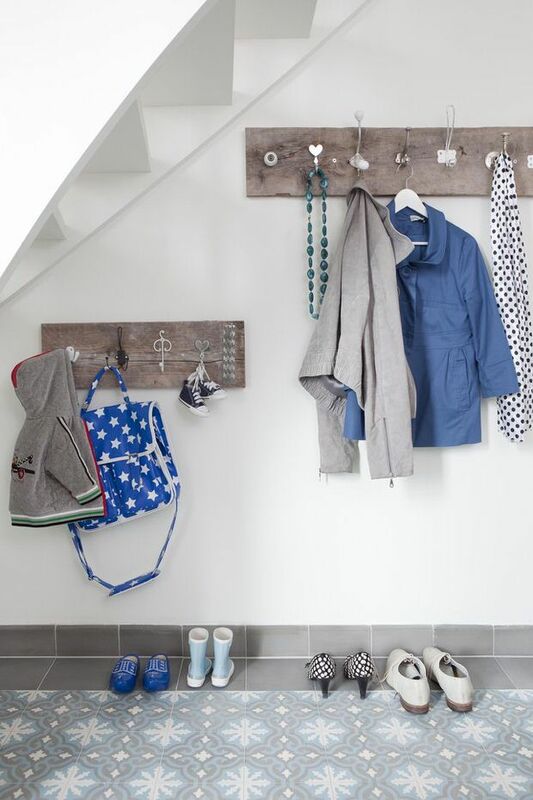 So we went off to find you all some creative DIY coat racks that you can make this weekend to dress up your entry, or help create an entry if your home doesn’t have one. 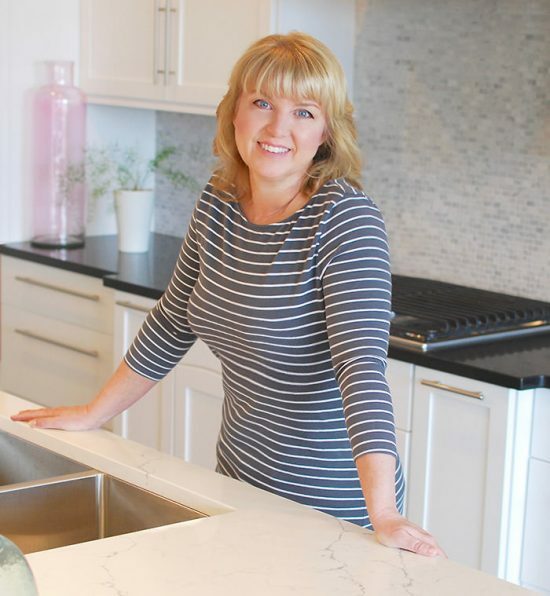 These are all easy projects beginners can accomplish! So hang your coat, kick off your shoes, and stay awhile. 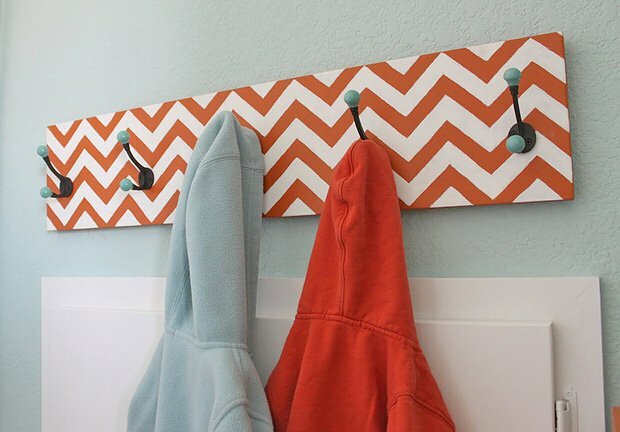 Our featured project is from Trisha at Sweet Survival, this DIY chevron coat rack was a quick project she is generously giving all her how-to’s for! 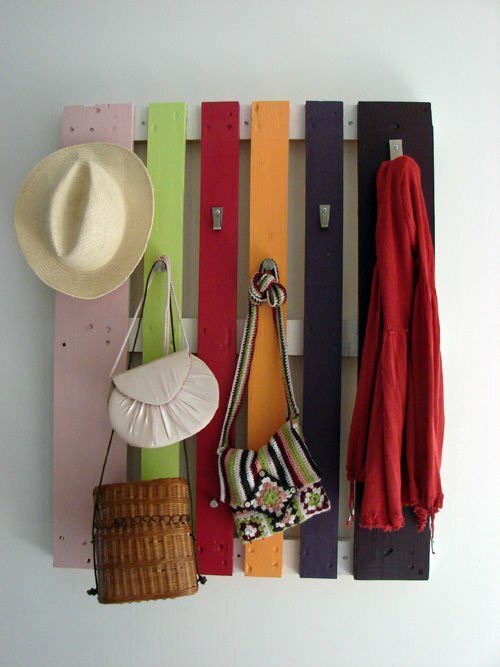 From 101 Pallets, how to make a pallet coat rack will have you painting your repurposed project with colors that work for your home, and repurposing as well! 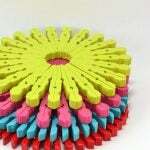 From Natalia Rosin, this fabric covered coat rack is artsy and colorful. The instructions are in Spanish, but Google Translate ought to fix you right up! Or, follow the photo step by step below! 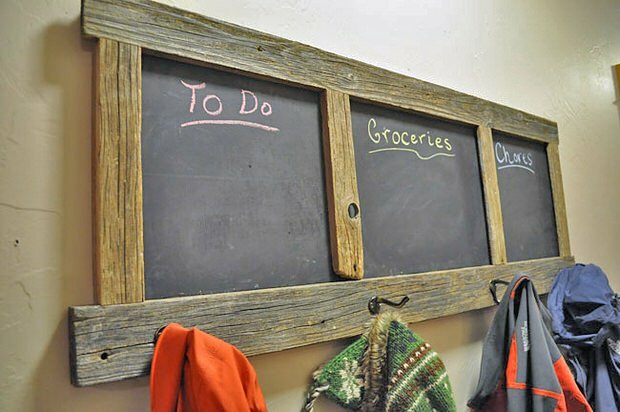 DIY Pete has a great tutorial for this DIY chalkboard and coat rack, complete with step by step photos. This would be a great station for a family with busy schedules. Love this anthro-inspired project from Little Glass Box… this wooden hanger coat rack takes just basic power tools to complete, and has a real touch of creativity. Cute! 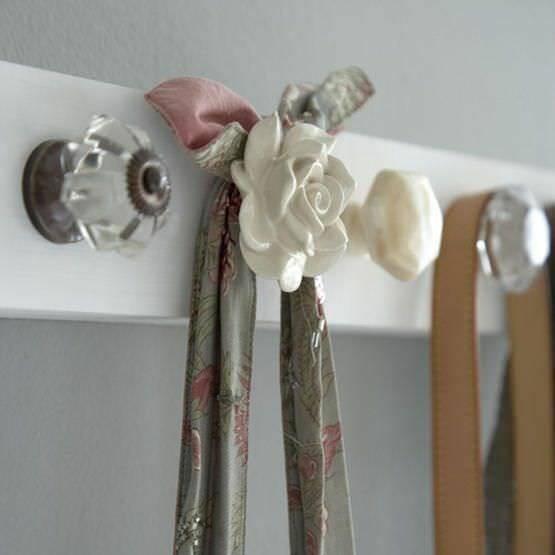 This DIY coat rack from Welke caught our eye because it’s simple, and different all at the same time. Simple reclaimed wood… and each hook is a different style, same metal finish. How easy is that? 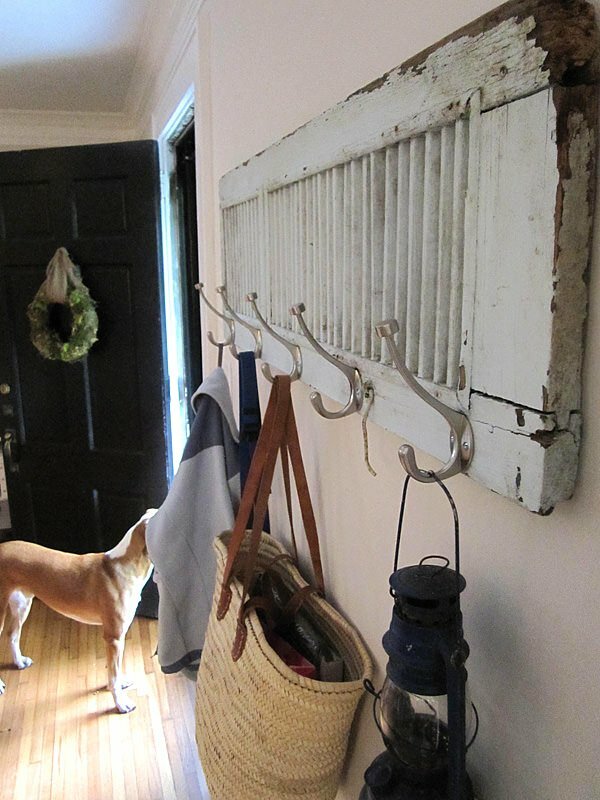 Lively Green Door did this basic DIY coat rack with a ledge, and it’s perfect for a small entryway that also needs a little accent. 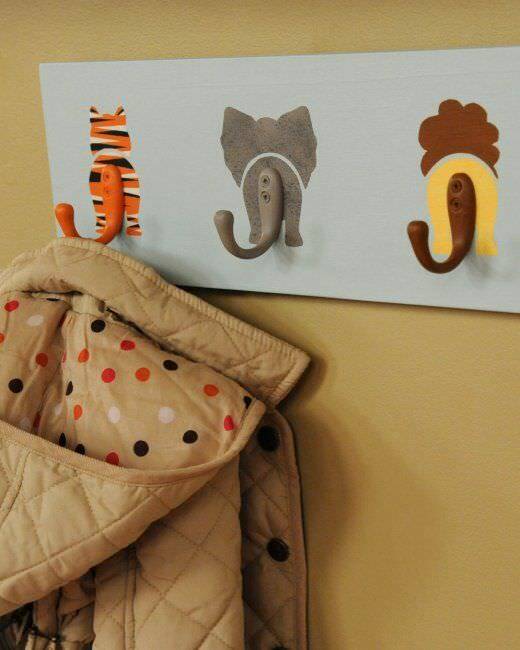 Martha has a complete video tutorial for these adorable animal coat hooks… So sweet for a kids room! 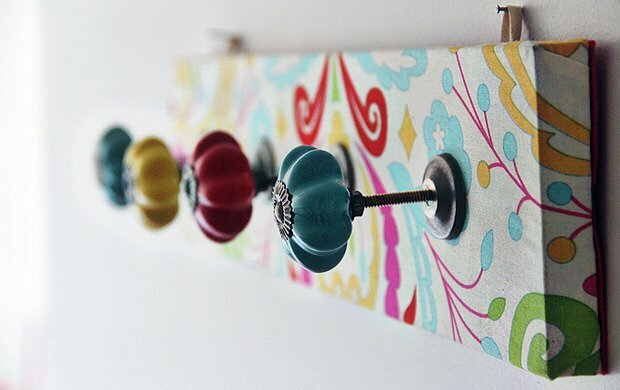 Casa Sugar shows us how to make a coat racks from old knobs… Simple, simple project! 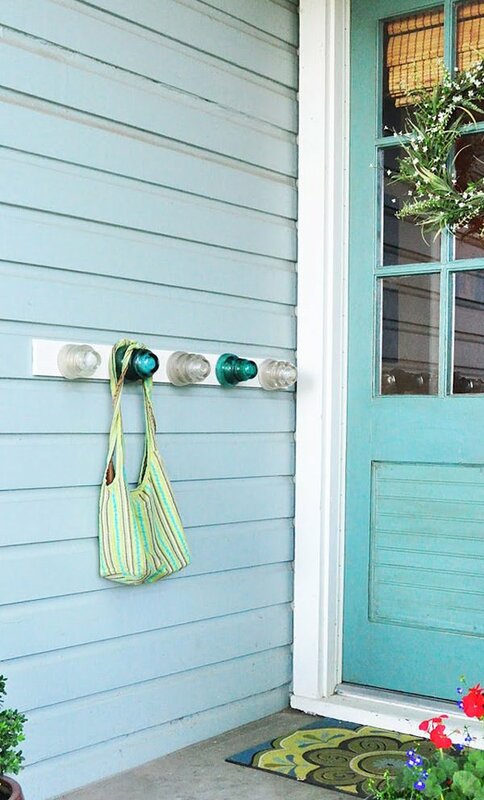 Lastly, Creatively Living has this tutorial for this insulator coat rack… I love the colors, and insulator projects in general…So start crafting those coat racks! 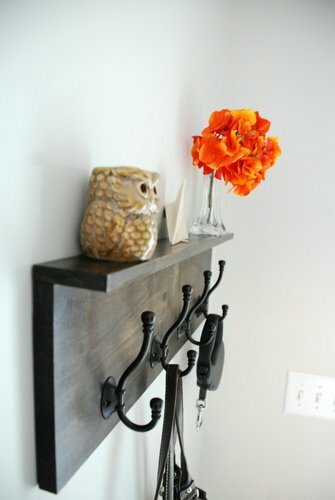 Loved your coat rack project! 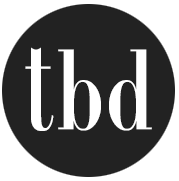 What a great round up of ideas. My favorites are the shutter rack and the chalkboard. 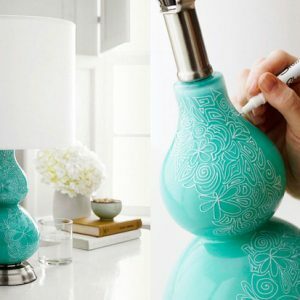 Either one would look so cute in my laundry room. Thanks for the inspiring idea. I absolutely love everything you’ve come up with. Brilliant!!! 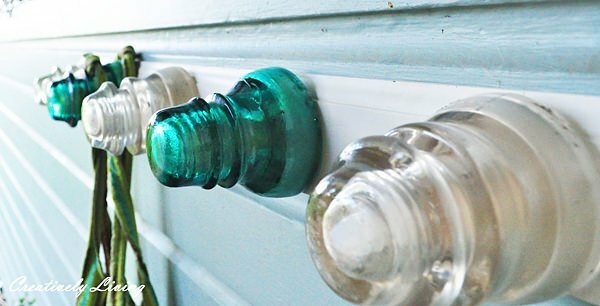 Love the use of those old insulators!! !